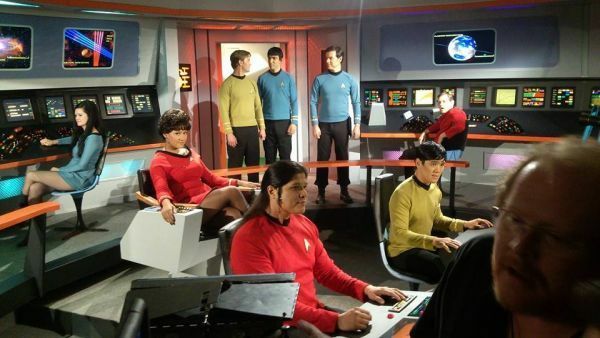 -Getting back into the normal routine & grind after returning from filming in Ticonderoga, NY for STAR TREK NEW VOYAGES:PHASE II on their episode “Mind Sifter” (Reprising my recurring role of Ensign Dawson Walking Bear). Had a great time and it was great to reconnect with many old friends-as well as make some new ones. The new studio is awesome and now has AC (*YES! *) -even though my “Sweaty Bear” nickname was still said way more than the others, as well as being the most apparent Of course, part of that was due to the herculean 21+ hour shoot we did on my last day there…. I did take some pics but have to wait for them to be approved before posting. Great cast & crew and looking forward to working with them all in the future. This entry was posted in ACTING, TV SHOWS and tagged ensign dawson walking bear, james cawley, Mind Sifter, star trek, Star Trek New Voyages:Phase II, Star Trek:Phase 2, TOS, tv show, wayne w johnson, WWJ. Bookmark the permalink.